The "Golden State" got its name from the 1848 Gold Rush. Now the focus is on the state’s abundant golden sunshine. California is #1 in solar energy* because solar-friendly state policies make it one of the best places to go solar. What is the cost of solar in California? The average cost of solar in the U.S. per watt installed is $3.16. The average size of a home solar system is five to eight kilowatts, so going solar can cost from $14,000 to more than $30,000. Keep in mind that you may get some of that investment back if you are able to apply the 30-percent federal residential renewable energy income tax credit (ITC),* so the cost ends up being $10K to $20K. But don’t put off buying solar for too long, the tax credit will continue at 30% through 2020 but will begin dropping until the tax credit is over in 2022. The great news is that solar will pay for itself over time, and there are zero-down lease and loan options for qualified customers. Often, your combined lease or loan payment is less than your previous electricity cost. 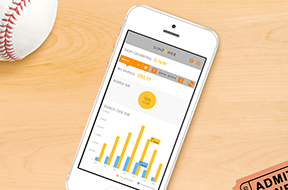 Learn about the different ways to pay for solar. For more details, visit our blog post How Much do Solar Panels Cost. What is the average payback time of solar in California? What are the rebates and financial incentives for solar in California? If you pay federal income taxes and you purchase a solar system for your home, you may be eligible to receive the Federal Solar Investment Tax Credit (ITC). * It’s currently a 30% federal tax credit you can claim against your tax liability, which is a tremendous boon to most households. But be aware that the ITC is set to step down to 26% in 2020 and 22% in 2021. After 2021, the residential credit will drop to zero, so it’s a really big reason to go solar sooner rather than later. There’s a reason why California leads the way in solar adoption in the United States. Aside from its sunny climate and generally positive attitude about the environment, the Golden State has established a variety of public policies that encourage solar adoption. For example, it has one of the best Renewable Portfolio Standards in the nation, with an aggressive goal of having 50% of electricity production coming from renewable energy sources by 2030. In support of that goal, California has net metering, which means you can sell any surplus energy your solar system produces to the utility for the same price you would pay to consume it. California also does a pretty good job of shielding homeowners from unreasonable interconnection fees (the ability to “plug in” to the local electricity grid). There are also a variety of robust local and regional rebates and other financial incentives available throughout California. The largest cities, along with some counties and municipalities, have special programs for homeowners who want to go solar. 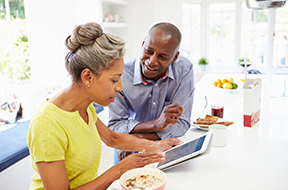 To find out what’s available to you, search the US Department of energy database. Or you can consult with a knowledgeable solar dealer in your local area who can provide a quote that includes local incentives. Our Solar Advisors can match you with a SunPower-certified installation contractor with experience in your city. Should I go solar now? As soon as your solar system is turned on, you will start generating electricity from the sun, which can lower your electricity bill. And while there are many factors that can influence your savings, such as location, shade, system size, utility rates, weather and local policies, the overarching principle is the same: The more solar energy you produce, the less electricity you must buy from the utility company. The sooner you install your solar system, the sooner you can start saving on your electric bill. Those are savings you won’t get if you wait. You may be asking yourself, “If solar prices keep falling, shouldn’t I wait for even lower prices?” You could, but consider this. Residential solar prices fell by 8.6 percent in 2016. So, if a solar system in your area cost $17,000 today you could save $1,462 by putting off solar for another year, assuming current cost declines continue. However, you will delay the immediate solar energy benefits, known as “opportunity cost.” Let’s say you have a $200 per month energy bill—if your system covers 100% of your electricity costs, you could potentially save $2,400 a year in expenses that solar could eliminate (depending on several factors including system size, available roof space, and others). Paying $2,400 for electricity this year to save $1,462 next year puts the cost of waiting at almost $1,000. And when you factor in the time value of money concept, along with a potential utility rate hike, waiting makes even less sense. Visit our blog post, Why Go Solar Now, for even more reasons to go solar now. Where can I buy solar panels in California? You’ll want to find a good solar installer with experience in your city, such as one of our SunPower-certified installation contractors, who will provide the solar panels, as well as the other needed equipment, and then install the solar system. It’s important that you hire a professional solar installer who knows what solar works best in your specific geographic region. There is a reason you wouldn’t hire a contractor in Arizona to work on your house in New York, and these reasons hold true for solar installations. Weather and sunlight vary from region to region, so you want to hire an installer who can design a system that works well in your climate. Plus, every local municipality has different permitting and building code standards, and they change frequently. If your installer has a strong relationship with the local permitting offices and inspectors, it can help your installation go smoothly, avoiding potential hold-ups caused by changes in local codes or utility requirements. Our Solar Advisors can match you with a SunPower-certified installation contractor with experience in your city. Is solar popular in California? More than 5 million homes are powered by solar in California, making solar a popular energy choice. In fact, California ranks #1 in solar power capacity. Visit the Solar Energy Industries Association for more information on solar in California. *. *tax credits subject to change | SunPower does not warrant, guarantee or otherwise advise its partners or customers about specific tax outcomes. Consult your tax advisor regarding the solar tax credit and how it applies to your specific circumstances. Please visit the dsireusa.org website for detailed solar policy information. *. Average payback time will vary, depending on a number of factors including, but not limited to: electricity rates, shading, orientation, financing selected, ability to qualify and apply for local, state and federal incentives. *. 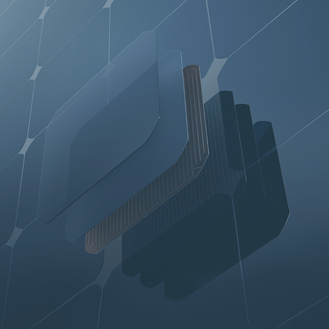 SunPower panels produce 60% more energy in the same space over 25 years |SunPower 360W compared to a Conventional Panel on same sized arrays (260W, 16% efficient, approx. 1.6 m2), 4% more energy per watt (based on 3pty module characterization and PVSim), 0.75%/yr slower degradation (Campeau, Z. et al. "SunPower Module Degradation Rate," SunPower white paper, 2013). *. #1 rank in "Fraunhofer PV Durability Initiative for Solar Modules: Part 3". PVTech Power Magazine, 2015. Campeau, Z. et al. "SunPower Module Degradation Rate," SunPower white paper, 2013. 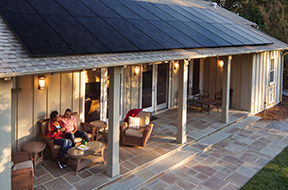 When you choose a SunPower® system, your home solar is backed by a national brand and installed by a local California SunPower-certified installation contractor. Your local installation contractor has been carefully selected by SunPower and will customize your home solar system according to local weather patterns, building materials, and city codes. Our experts do the legwork. From determining whether your home is a good candidate for solar to matching you with a local solar installer, going solar is easy with SunPower. Start saving with solar with as little as zero-down,* and we offer several financing options from loan to leasing, so you can choose what’s right for you. A complete home solar system where every component is designed to work together perfectly—from sun to switch. Plus, it offers the industry’s only complete-system warranty. Energy prices are on the rise again. Why wait to install solar on your home?